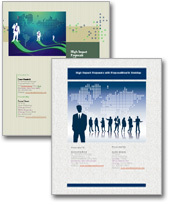 Publish proposals in Word, PDF and HTML formats. in Word, add images, tables and formatting. proposals and other business documents a breeze. • Professional Proposal templates: With Proposalsmartz proposal software, you get over 500+ templates for business documents like proposals, contracts, letters, invoices and estimates. Now you don't have to hire expert content writers to write winning proposals. ProposalSmartz proposal maker, ensures that you get the best results saving your valuable money, efforts and time. •	Build in Microsoft Office Add In: Proposalsmartz, an easy proposal making software, gives direct access to application with direct add-ins in Microsoft Word. You can instantly create proposals, letters, invoices, contracts& estimates within minutes with this add-in. •	Create Contracts, Letters, Invoices & Estimates: With Proposalsmartz proposal generator, you just don't create business proposals. It takes care of your other document needs as well. Proposalsmartz template library includes contract templates, letters templates, invoice templates &estimate templates. •	Publish to Word, HTML &PDF Instantly: You can instantly publish your proposals with proposal making software as well as other documents instantly in MS Word, HTML or PDF formats. •	Import & Edit templates in ProposalSmartz: The Proposal Creation Software allows you to import your existing proposals & you can easily save them as templates for future use. You can modify the in-built Proposalsmartz templates as well and save them as per your need. •	Append multiple files in Proposals: No need to send related documents as attachments in your proposals now. You can instantly append different files in your proposals and create single document. Proposalsmartz gives you professional content written by Industry experts & create winning Proposals. Also, you don't have to hire expensive content writers to make different types of proposals, letters, invoices, estimates and contacts, etc with proposal making software. The proposal generation software allows you to choose from a range of attractive display themes and covers to showcase your proposal. Designed by our expert designers, you can enhance the presentation of your proposals with just 1-click. Using Proposal generator, Simply select the design theme and your proposal will be published in that design with proper formatting. You can select from a variety of templates like Executive Summary, Introduction, Company History, Objectives, and Industry Trends etc. Each template has individual content written by experts that can be edited as per your need. You don't have start from scratch and taking hours to flesh out your proposal you can now access our bank of ready content and edit as per your need. Proposalsmartz can be directly accessed from your Microsoft Word. Proposalsmartz appears as an add-in,making it extremely convenient to create proposals. So proposal generation software is just a click away for creating all your business documents. To create personalized documents, you can assign dynamic variables to the data you have entered while creating the proposal. Enter your name, the company name, the proposed company name &contact details and they are picked up automatically by the application & inserted at correct places in the content of the proposal. Save your proposals in multiple formats and publish them with a single click in MS Word, HTML as well as PDF format for easy sharing. Proposalsmartz provides professional printing services for proposals and other documents to create a great impression. Get your proposal printed professionally and sent to your client through the FedEx Kinko third party tool that you can access through Proposalsmartz. You can import your documents in Doc, Docx, Rtf format and save them in Proposalsmartz as templates for future use. You can also edit the existing Proposalsmartz templates and save them for your convenience. You can append various image files as well as documents files in your proposals. You can add your scanned PDF files, images etc. in your proposal easily within seconds. ProposalSmartz offers the facility to protect your file with password of your choice. Password protection allows you to control the usage of output PDF file by controlling who reads, writes, modifies, add comments to print the resulting PDF file. You can personalize your proposal documents with your own company logo. You can purchase different content packs for Proposalsmartz. Proposalsmartz comes with three different content packs: Business Letter pack, Invoice Pack and Estimate pack. You can purchase and of the pack depending on your need. Just install the pack and you are ready to create more documents. You get complete support for prompt address of queries, complaints and provide feedback.